Federal Offenses Criminal Defense | The Frey Law Firm, LLC. Federal Crimes Require a Professional, Strong Legal Defense. Federal prosecutors and investigators have vast resources to help them secure convictions. Being able to counter the effect of those resources requires a skilled attorney who has a record of success in defending federal prosecutions. Federal cases often are based on extensive investigations. You need an attorney who can overcome high-caliber police work. The laws that govern and define crime under the U.S. Code, including sentencing guidelines, are different. For an effective defense, your attorney must know the range of potential consequences. Federal cases often include a twist: prosecutors and law enforcement sometimes want to work with defendants and suspects to further other cases they may be working on. If you choose to cooperate with the authorities, your attorney must have a clear understanding of the benefits and risks. We Have Defended Clients Nationwide in Federal Courts. 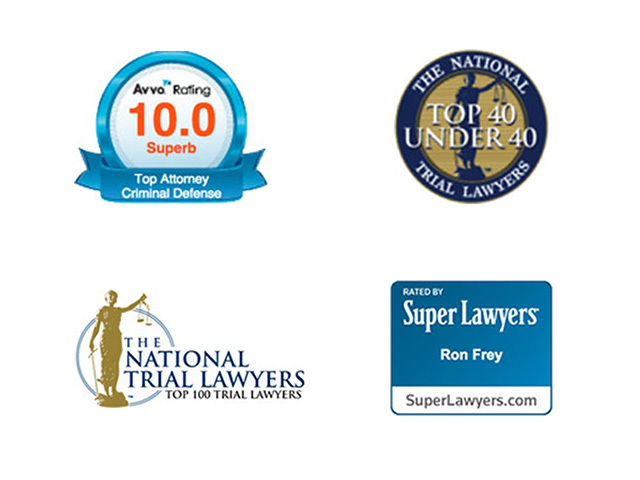 At The Frey Law Firm, LLC, in Tampa, Florida, none of these factors are new to attorney Ron Frey. He has extensive experience defending clients in federal courts nationwide. His depth of knowledge regarding federal courts and prosecutors gives him the power to build a strong defense. Attorney Frey will strive to achieve the best possible outcome for your case. His commitment to his clients has helped him earn a 10.0 Avvo rating as well as being selected for inclusion as a Rising Star by Super Lawyers in 2010, 2011, 2012, 2013 and 2014. Do you need a lawyer to defend you against federal charges in Tampa, Florida, Hillsborough County or beyond? Turn to The Frey Law Firm, LLC, for the federal criminal defense you need.